You are called. You are chosen. 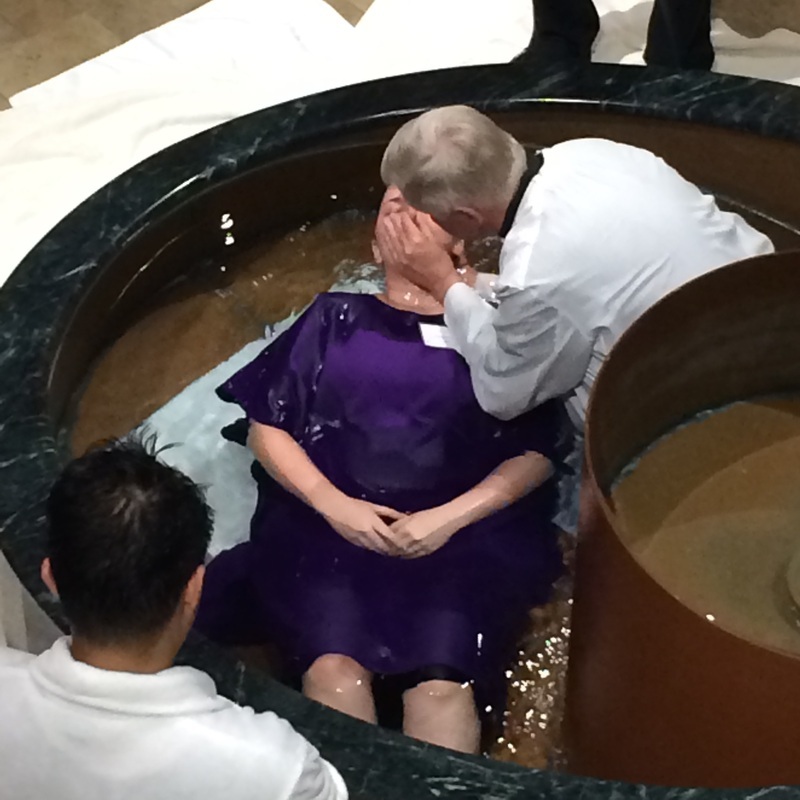 Adult baptism by immersion during the Easter Vigil, 2014. The path by which adults and children who are beyond the age of reason (age 7) join the Catholic church is collectively called the ﻿R﻿ites of Christian Initiation of Adults, or RCIA. People who are previously unbaptized -or- people who have been baptized in another faith but wish to become Catholic belong in the process. It may also be modified for people who many have started their initiation through baptism in the catholic church, but not completed through Eucharist and Confirmation. The process encompasses four main goals: learning about the faith, developing a practice of prayer and liturgical worship, joining a community of faith, and leading a life of service. This is accomplished through a series of ceremonies in the church (called Rites) and time spent in study and prayer with others. The normative time for adults to receive the sacraments of Baptism, Eucharist, and Confirmation is during the Easter Vigil each year. The process begins with a brief conversation to help determine the best path towards initiation. This can be set up by contacting Shaughn Phillips or calling the parish office. Want to Talk about Becoming Catholic? Fill out the form below and Shaughn will get back to you! The RCIA process is generally longest for those who have never been baptized, sometimes taking more than a year. In choosing to enter the Catholic faith, this person will receive the Sacraments of Baptism, Confirmation, and Eucharist in the same Mass. Together, it is determined determine how much time, instruction, and community support a person will need to receive these sacraments. In the Catholic faith, we believe in one baptism for the forgiveness of sins. As long as a person's baptism is done with water and using a trinitarian formula, baptism is never repeated. Instead, a person is asked to make a profession of faith and participate in the Sacrament of Reconciliation before receiving the Sacraments of Confirmation and Eucharist. Depending on the extent of a person's formation in another faith, this path to Catholicism can be faster than if a person had never been baptized. The RCIA process is not meant for people who have been baptized Catholic but have not completed their initiation. However, some of its elements may be useful as a person returns to practicing an active faith. A baptized Catholic will be guided through the processes needed to complete their initiation.